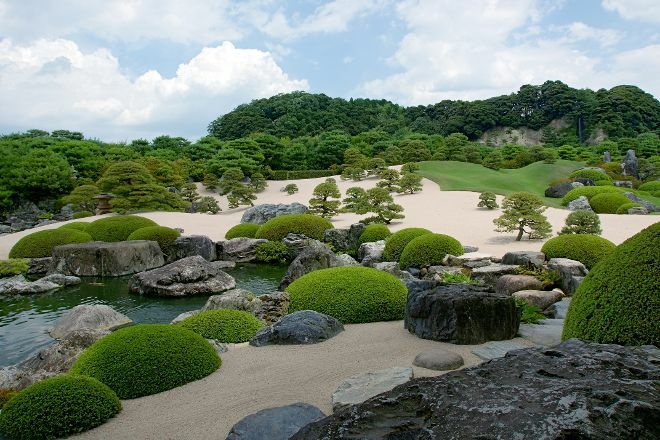 Admire the picture perfect Japanese garden and art collection of Adachi Museum of Art. The immaculate facilities and award-winning garden were designed to have visitors moved by both the nature and art, but can only be viewed from inside the museum, with the glass windows acting as a frame to the impeccable landscape. The museum also houses a large collection of 20th-century paintings, with a permanent exhibition of renowned painter Yokohama Taikan’s work. Before you head to Yasugi, plan trip itinerary details with our user-friendly Yasugi online vacation planner , to make sure you see all that Yasugi has to offer, including Adachi Museum of Art. Small absolute numbers during the winter season and to slowly see the garden was very good. It was shame there was no snow on the ground. Were included. Also in the museum garden was beautiful. The snow was to have been calculated. It is very good to freeze, so was the tea in the tea room, but there's also old Showa era. Very nice Japanese gardens. Gardens are frame like a picture. Japanese art work as well plus some ceramics on display. Foreigners get a discounted entry (with passport). Located about 20 minutes by museum complimentary bus from the train station. Don't forget to choose your return bus time/ticket near the museum entry. An amazing place which is worth the effort of traveling there. The garden is of course extraordinary beautiful, but the museum should not be overlooked. It exhibits classic masterpieces and also modern paintings. My day at the Adachi museum was definitely a wonderful one.